Contract packaging organisation Tjoapack has partnered with UK tech company, Veratrak, to launch a blockchain tool across the pharmaceutical industry. The partnership will include several projects that focus on using the properties of blockchain to enable transparent collaboration across multiple pharma supply chain partners, reducing service lead times, and driving information sharing through a secure digital chain. The first project, due to be rolled out in Q4 2018, will secure and optimise the data sharing processes involved in setting up stock keeping units (SKUs) ready for packaging from product master data to artwork. Blockchain allows data to be stored as part of an immutable ledger assuring that it cannot be altered or tampered with. Veratrak’s new document collaboration platform uses blockchain technology to allow secure data sharing across the pharmaceutical industry. Dexter Tjoa, Director Corporate Strategy, Tjoapack said: “This kind of technology will be invaluable when it comes to securing the pharmaceutical supply chain. 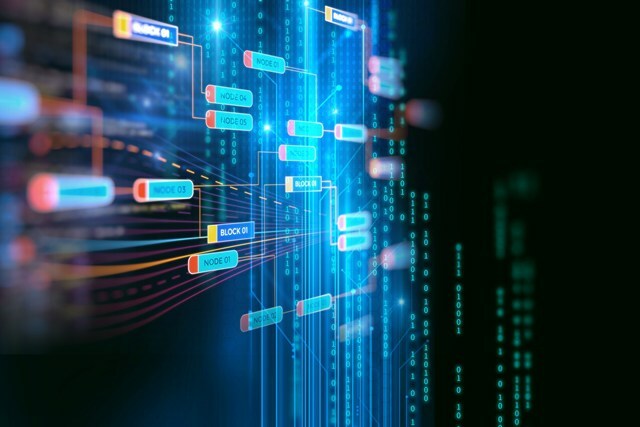 “Blockchain is already being explored as a solution to support track and trace programmes which follow physical goods through the supply chain. “It could also have huge benefits when it comes to improving data transparency through secure audit logs that are accessible for multiple parties. To date, blockchain technology has been explored by pharmaceutical companies through either proof of concepts or pilot projects. Tjoapack will be the first user of the platform and will use its pharmaceutical expertise to ensure the Veratrak system is tailored to the industry’s challenges and that the solution is tested by an experienced supply chain partner.